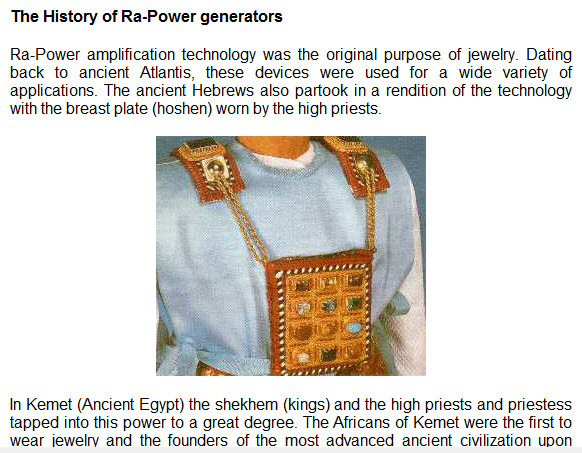 Ra-Power generators are specific configurations of metal, crystals and gemstones stones used to effectively convert unbalanced Ra-Power energy into balanced Ra-Power energy while amplifying certain spiritual energies of the gemstones. 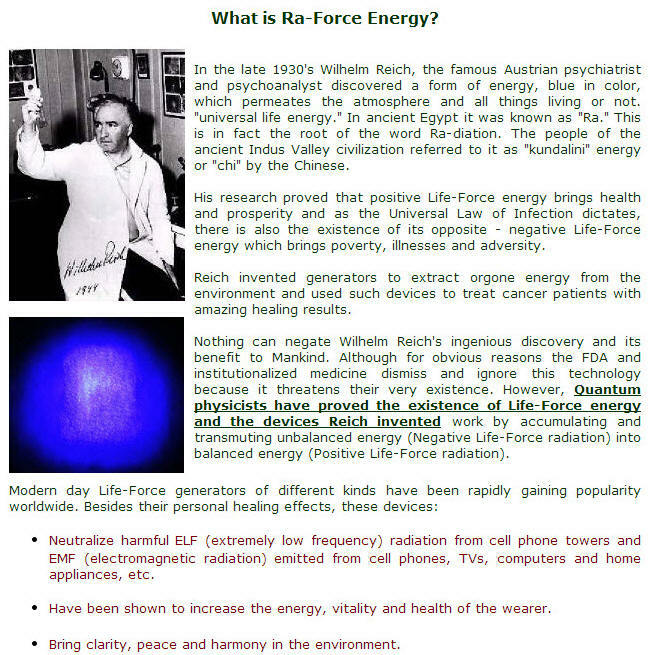 The device also cancels out harmful effects of electromagnetic frequencies (EMF) and extremely low frequencies (ELF) thus providing spiritual protection as well. Our brains emit micro-electronic pulses whenever we think about something our intend to do something. 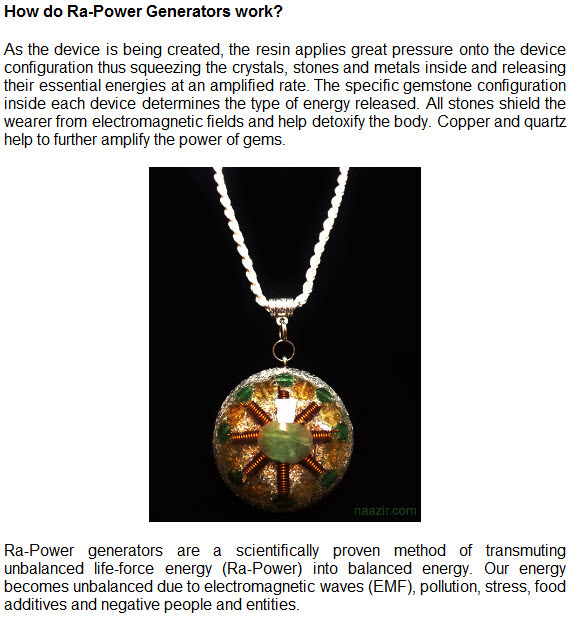 Therefore, if you hold in your hand a device such as a Ra-Power Generator that is made with specific stones and crystals, we automatically infuse our thoughts and intentions into them and they instantly begin to resonate with your thoughts and intentions. In addition, if the stones themselves are naturally in alignment with your thoughts as well, the results are amazing! This is process called "programming" and "activation." Crystals, stones and certain metals have qualities that allow for the amplification and transmutation of subtle electromagnetic pulses (frequency). This is why all electronics contain quartz crystals and are built on silicon wafers called "chips." 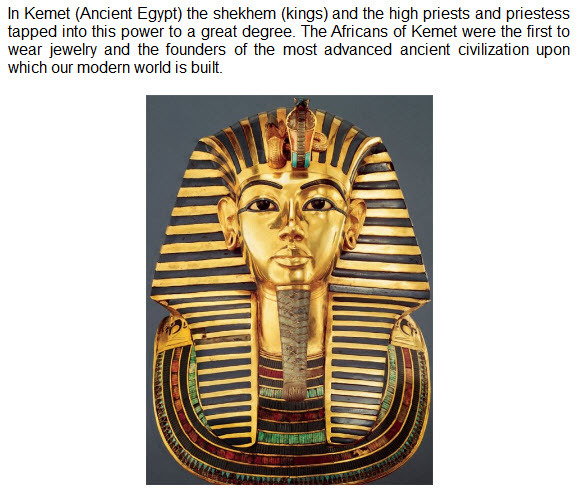 Silicon like carbon, copper and melanin are all semiconductors. Meaning, they act as both conductor and insulator at the same time. The best form is a diamond. In fact, most diamonds are used in high performance technology and industry not as jewelry. No amount of scientific facts or metaphysical explaining can replace actually experiencing it yourself!